Is it possible to gain muscle size without touching a dumbbell or any of the gym machines, only with bodyweight exercises like push-ups, pull-ups and squats? For a normal person, who has never been to the gym, doing a simple push-up is a challenge. Among regular fitness freaks though, doing 30 push-ups in one go is not a problem at all. The old bodybuilding adage of ‘no pain, no gain!’ holds true. When bodyweight exercises stop pushing your limit, then they stop building muscle too. According to Arnav Sarkar, strength coach and fitness trainer, bodyweight exercises can definitely help beginners, but may not be able to build muscle after a certain extent. ‘Yes, it is possible to some degree, especially for beginners. The key is to make sure that you get adequate protein and calories to pack on the muscle mass. However, if you are after serious muscle size, then you will need to incorporate weight training in the long run,’ he said. ‘After a point bodyweight training, involving basic exercises like push ups, pull ups, become easy and one can do lots of reps without fatigue. At this point the intensity of each rep becomes too low for adding size and the exercises only continue to increase endurance. With weight training, one can continually keep adding weight so that the resistance stays high and one can continue to keep adding size,’ adds Sarkar. You can also try changing the type of bodyweight exercise you do. 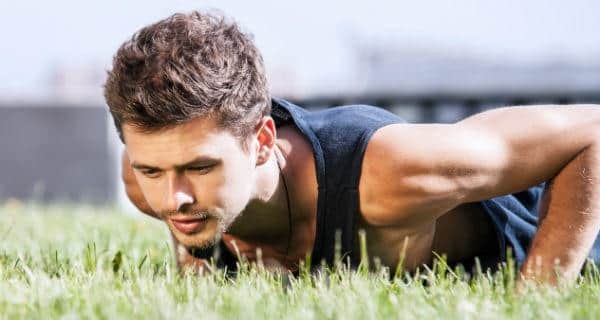 For e.g, instead of a normal push-up, you could try doing variations of it, like single-handed push-ups, clap push-ups, etc. These variations may seem incredibly difficult, but training to do them will certainly make you much stronger.